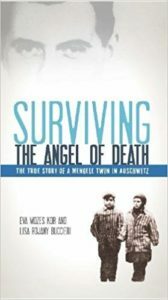 Eva is a survivor of the Holocaust who, with her twin sister Miriam, was subjected to human experimentation under Josef Mengele at Auschwitz. She is the author of Surviving the Angel of Death. Eva founded CANDLES Holocaust Museum and Education Center in 1995. Eva will be available for a book signing after her presentation. Lunch will be on your own. Local food trucks will be on site. Museum tours will be available after lunch. Seats are limited to this special event, so register early! Download Registration (click here). Upon completing registration please email it to Stacy Moses smoses@sandiaprep.org. You can submit your payment online using the PayPal option below. Please use the Google Form to Register online. Once you have completed the registratoin you can make a payment using the PayPal button.